1000mm W20 x 1/2UNF S/S pigtail for ELECTRIC Outlet Tanks. - GAS IT Leisure Gas Bottles, Gas Cylincers and Gas Tanks - Catering, Motorhome, Campervan, Caravan, Farrier and Road Repair Refillable Gas Solutions. 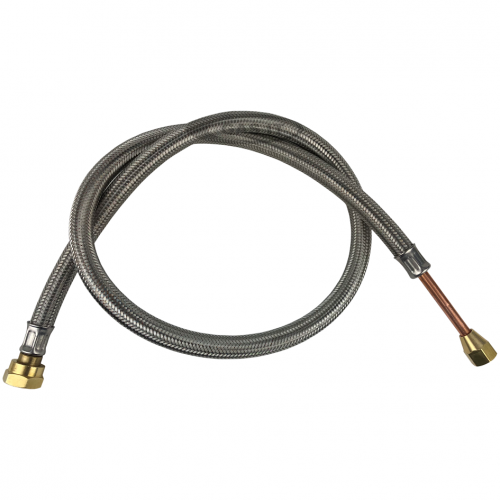 W20 x Copper Standpipe with 1/2 UNF flare nut S/S Hose Assembly 1000mm long for our GAS IT ELECTRIC outlet tank range.